Collaborative records are often a tricky art to perfect. Sometimes making a “better” song does not always equate to creating a collaborative song. With two different musical minds at the helm of the project, there is bound to be some sort of tension lingering throughout some of the songs. Not every decision was made 100 percent unanimously, so obviously, a fair amount of compromise is involved in creating these projects. The true test of a great collaborative record is if you cannot hear or are not bothered by these compromises. On Marlowe, Solemn Brigham and L’Orange find a way to make their voices heard while not sacrificing what makes them great. From the opening notes of “Cold Open,” it is clear that L’Orange has incredible production prowess. His ability to create beats that are both musically encompassing and cinematic harkens back to the skills of artists such as Madlib and MF Doom. The lounge atmosphere he sets up on this track is very authentic and is only further sold by Solemn Brigham’s unassuming filler chatter that is tracked over the beat. The easy-going pace of this track feels intentional as the track “Lost Arts” is able to hit with tremendous impact due to its dramatic increase in clarity and energy. Simple, but impactful bass tones resonate through this track as the drums roll along with furious momentum. The minimal piano and guitar samples that are thrown on top of this beat only further enhance the palpable intensity present in the production of the track. On top of this, Solemn Brigham comes into this track sounding maddeningly confident. His machine-gun flow is hard to ignore as he drifts through the songs rhyme scheme with absolute ease. Never sounding like he is trying too hard, but never sounding like he is phoning it in, Brigham strikes a perfect chord with the audience on this introduction. His conviction is only proven as the tracklist presses on. “The Basement” sees Brigham declaring himself a “problem”as he goes on to delve into how he is perceived in the public. The Civil Rights samples that so often appear on this album, seem to find a callback on this song. Brigham seems to be conflicted with how he is perceived in the public eye. He is fighting for rights that he holds near and dear to his heart, but the public perceives him as a menace and ultimately someone who is fighting for all the wrong reasons. Fed up with all the pushback, Brigham appears to be embracing the role of the villain on this track. The way L’Orange was able to set up this kind of song by providing those Civil Rights era samples throughout the album just goes to show you how strong this pair can be. While inevitably they are going to throw their individualistic highlights into each and every track, you can hear that they have each other’s back throughout this project. Each move was carefully crafted and ultimately chosen to make the project better. This is just how collaborations should work. 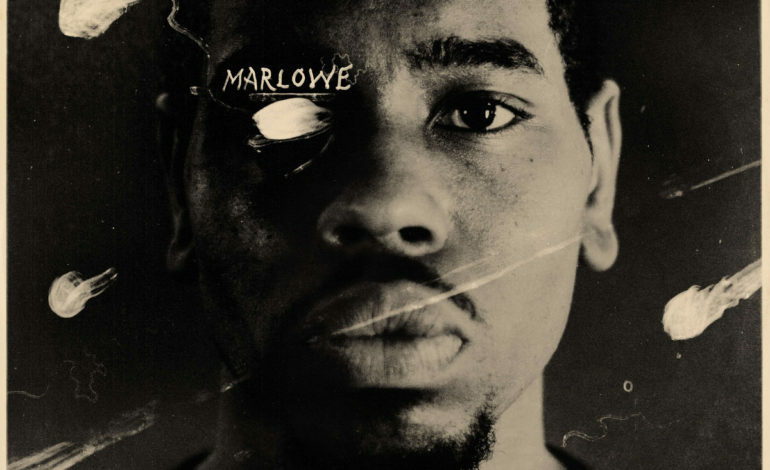 At the end of the day, Marlowe is a phenomenal debut effort by a duo that works tremendously together. Brigham’s confident persona mixed with L’Orange’s scenic production meshed to make something truly intriguing. One can only hope there is more down the road for this duo, but for now, let’s just enjoy this cold open they have bestowed upon us.